I certainly did. In 2009 I attempted Project 365, and didn’t take a photo everyday but most days I did. I like to think that instead of a failed Project 365 I have a resource of everday photos for my layouts – a set of stock photos you could say. Noell from Paperclipping.com also started a project and kept adding metadata to her photos to help with the journalling later.Though she’s not using them in a standard Project 365 way, she’s got some cool ideas here. 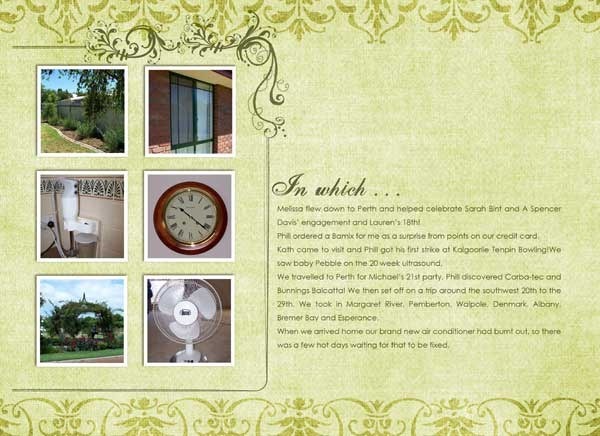 She is now using the metadata to make some stylish simple summer pages here. As for me, I didn’t end up scrapping Project 365 for 2009 at all. So this year I’m not attempting to do this, but rather I’m working on getting my favourite photos from this project into an album. I’m just highlighting a few of the photos each month using 2 pages spread from a template with a simple journalling box to the side. I hope I’ve inspired you to take another look at those old projects and maybe something fun can come out of them for you! 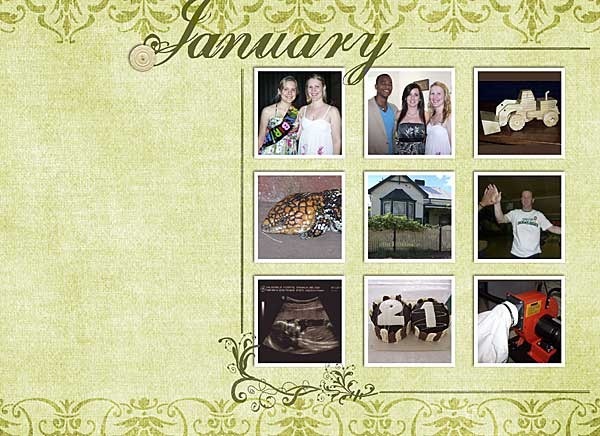 This entry was posted in Scrapbooking and tagged Project 365. Bookmark the permalink.